NADH is believed to boost brain chemical energy, and may be helpful for those with Chronic Fatigue Syndrome. Energy production: NADH helps spark the synthesis of chemical energy (ATP) in brain cells. Neurotransmitter status: NADH increases neurotransmitter production, especially dopamine. Healthy brain aging. NADH is an antioxidant that may protect brain cells from age-accelerating free radicals. DH is a coenzyme that’s used in the formation of ATP, the chemical energy that powers our bodies and minds. Closely related to the B-vitamin family, NADH is most highly concentrated in the body’s most energy-intensive organs: The heart and the brain. 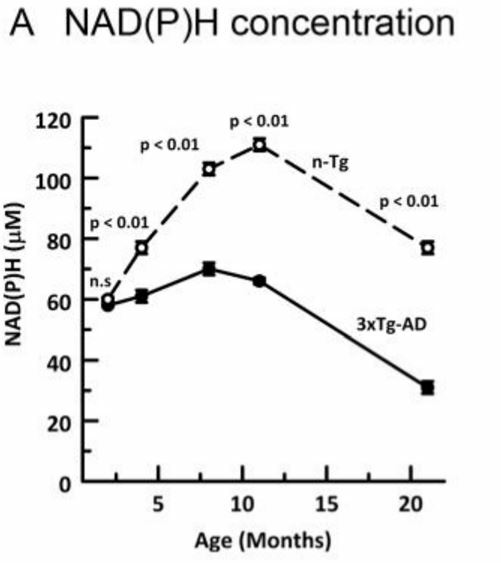 Researchers have suggested that this gradual lowering of NADH levels is due to the fact that older brain cells consume more NADH (and a related antioxidant, glutathione) faster than younger cells do. By boosting ATP, NADH helps power-up brain cells with the energy they need to “fire” and communicate–potentially unleashing all the benefits of an energized mind: Improved focus, concentration, memory and processing speed. 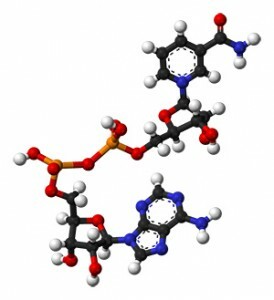 Dopamine is associated with movement, and is known as a “feel good” compound. Increased levels of dopamine can result in elevated moods. Norepinephrine is your “fight-or-flight” hormone. Increased levels of norepinephrine can enhance alertness and cognitive function, allowing for quicker, clearer thinking. NADH is a widely studied nutrient for brain health. Ongoing research continues to investigate how NADH may help with degenerative brain concerns and aspects of mental performance including memory, alertness, and energy. But of all its potential roles in brain health, NADH is especially intriguing as a therapy for Chronic Fatigue Syndrome (CFS), since this prolonged and debilatating condition is notoriously difficult to treat. NADH has shown some promise in CFS research. However, although NADH appears to help bust brain fog and increase mental energy, research results remain somewhat conflicted. Let’s take a closer look at some of this NADH research. urotransmitter benefits may sharpen alertness, boost mental energy and elevate moods. NADH has been suggested for degenerative brain concerns and cognitive problems tied to jet lag. It seems to show the most promise as a therapy for the brain fog of Chronic Fatigue Syndrome (CFS). 26 patients with CFS were given either 10 mg of NADH or 10 mg of a placebo for a period of four weeks. At the end of the four-week time period, treatment was stopped for the following four weeks, before switching to a final four-week period of supplementation. Throughout the study, subjects were evaluated via questionnaires, lab tests and physical exams. One clinical study evaluated the effects of NADH in patients with Alzheimer’s disease. 24 patients were matched for age and cognitive function using the Mattis Dementia Rating Scale (MDRS) and the Mini Mental State Examination. All participants were either given an oral NADH supplement or a placebo. After six months of treatment, researchers found that the participants who were given the oral NADH supplement showed no evidence of progressive cognitive deterioration and higher total scores on the MSRD in contrast to the participants who were given the placebo. One clinical study replicated a previous study to evaluate the effects of NADH on patients with dementia. 25 patients who had mild to moderate dementia were administered a 10 mg NADH supplement daily and were evaluated for three months. Only 19 patients fully completed the study, and the researchers found no evidence that demonstrated any improvements in terms of cognitive function in the patients as previously demonstrated in past studies. Jet lag can drain brainpower by 30% to 70%. Researchers hypothesized NADH’s ability to increase ATP energy, dopamine and norepinephrine might help. In one study, 25 participants were flown from the West Coast to the East Coast overnight, experiencing a three-hour time difference. Upon arrival, subjects were given 20 mg of NADH or placebo, and were later tested for cognitive functioning, mood and sleepiness. Research dosages: For brain and nootropic benefits, 10 mg seems to be the most commonly researched NADH dose. l forms of NADH; any supplement in any brand will be supplying the same compound. NADH is sometimes combined with other nootropics in brain supplement complexes. dies, no adverse side effects were noted, save for mild and transient stomach discomfort. NADH is a good brain supplement for those with Chronic Fatigue Syndrome. NADH’s brain-energizing effects seem to cut through the brain fog and doldrums associated with CFS, instead promoting mental clarity, alertness and balanced mood. It may help with age-related brain concerns, too, since it naturally declines as we grow older. NADH 10 mg is the dosage you want; research suggests 10 mg is effective and well-tolerated. Since NADH is a “commodity” nutrient with no enhanced forms, we recommend buying it cheap (as long as it’s from a quality manufacturer). More expensive NADH supplements will be supplying the same exact nutrient, so there’s really no need to spend more than you have to. My husband has Parkinson’s………..this has helped greatly for tremors. Need to know if it is safe to take with uridine. Jeremy on Dihydrotestosterone (DHT) — the most powerful and misunderstood male hormone?